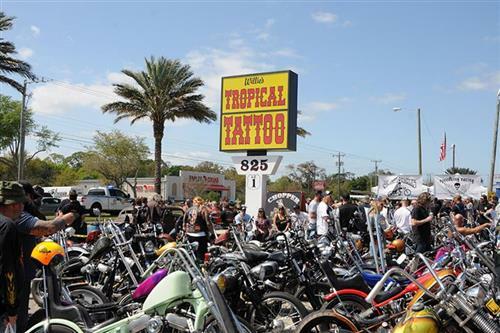 On Thursday of Bike Week, in Daytona Beach, Florida the place to be is the Old School Bike Show at Tropical Tattoo on US 1 (Ormond). The show is scheduled from 11– 4 But it gets crowded way before as the event continues to grow every year because it is a combination of a bike show and party. These 3 Paughco Mustang tanks are fabricated with a low tunnel for a distinctive Old School Chopper look that’s perfect for contemporary customs with stretched top tubes. Available in 3 capacities, the tanks feature a stock style screw in filler and vent. Petcock fittings on the left side are 22mm externally threaded and accept OEM and aftermarket petcocks. Each tank comes with threaded hose line fitting for the vent line. 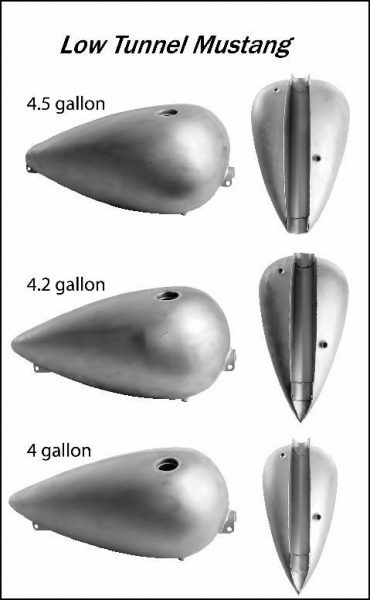 All 3 models, the 850A 4.2 gallon, 850B 4 gallon and 850 4.5 gallon sell for $311.95. As fitments vary widely make sure you check out the detailed dimension chart at www.paughco.com or call direct to 775-246-5738. When Don La Rosa first set out designing a two-up seat for Sportsters, he decided that it needed to be comfortable, look good, have style, easy to install and fit as many models as possible. What he came up with was the La Linea Café Seat. These full size café style seats have been to designed to fit all 2004 and up Sportster models regardless of the tank size with the exception of the XR 1200’s. 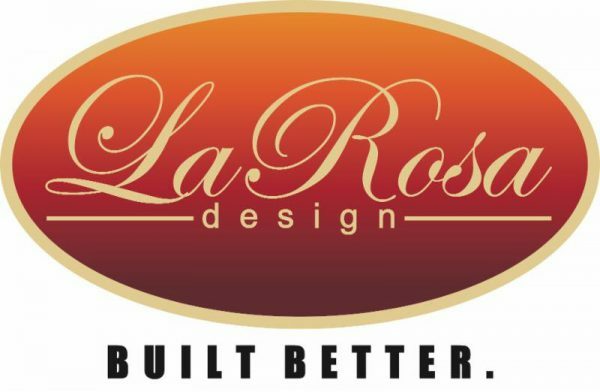 To achieve this broad fitment, Don La Rosa began by designing a seat pan to fit the rubber mounted frame that was introduced in 2004. He then modified it to accommodate the MotorCompany’s relocation of the ECU that was introduced on all Sportsters in 2010. Finally Don created two different seat profiles; the La Linea which translates to the “The Line” and the La Linea Sottile which translates to the “The Thin Line”. All La Linea seats uses a fiberglass seat-base and steel hardware for strength and stability. Comfort comes from using the finest high-density foam. The eye catching style and durability is provided by a top quality marine grade vinyl cover. These seats are available with a Plain Black finish or with a Tuk N Roll, Diamond Tuk, or Flame pattern sewn into them. In addition when selecting one of the pattern seats consumers have their option of thread colors to pick from. The best part of all is the MSRP is an affordable $299. 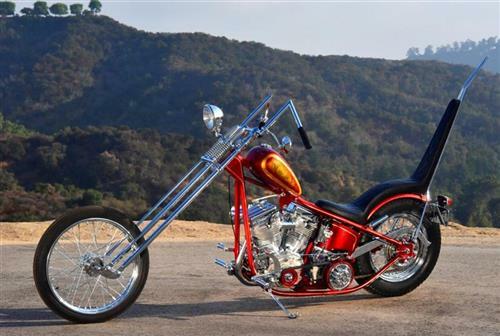 Orange County Choppers’ home is coming up for auction. The 61,305 square feet building was ordered by OCC back in 2008 and cost $12 million. 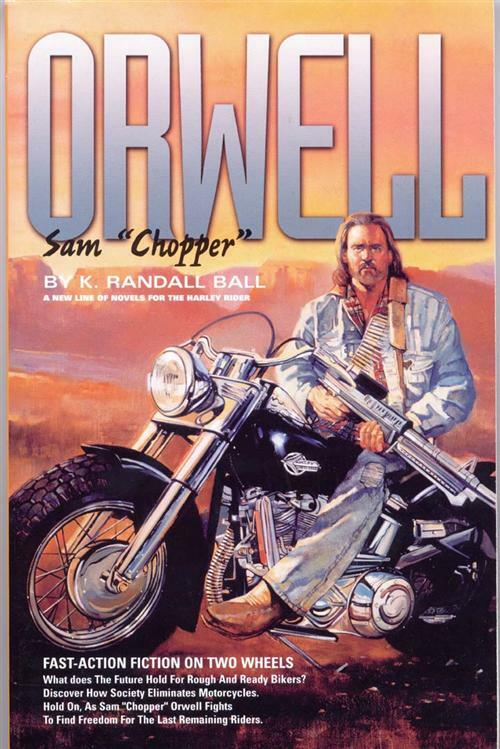 It was a time of plenty, at the height of the expensive chopper rage and when OCC’s reality television program was enjoying a great deal of interest. Time has passed since then, and OCC fell on hard times, as many hard-working people and companies in the U.S. and over the world have. OCC lost control of the property in 2011 after failing to pay the mortgage. They are now tenants and recently signed a 10-year lease renting out about 60 percent of the building. The property at 14 Crossroads Court in Newburgh, New York, is slated for auction on March 7 and bidding will starts at $900,000. 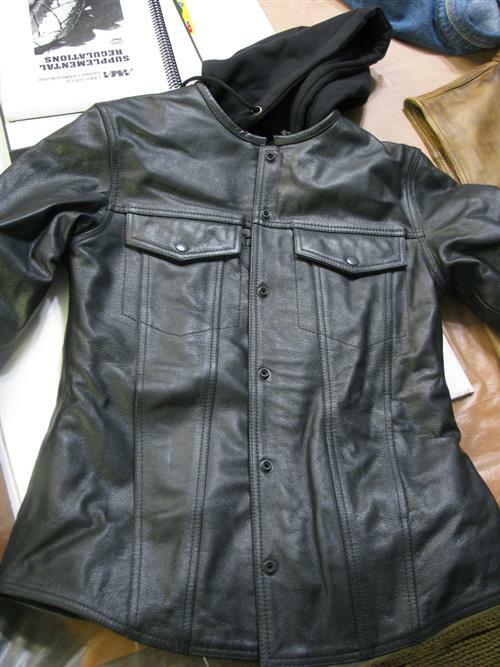 More details on this auction can be found here. “Power,” not unlike a sheet of Bounty paper towels, “is disposable,” the artist Will Ryman told me over the phone earlier this week. Known for addressing politics through material metaphors, the artist has used this analysis as the basis for Freedom (2014), a sculpture recently unveiled in a quiet corner of the Shelborne Hotel bar. Commissioned by hotel owners and art collectors Dayssi Olarte de Kanavos and Paul Kanavos, Freedom (2014) recreates the iconic pressed-steel forms of a Harley Davidson, down to the chain, gas cap, and texture of the leather seat, almost entirely in Bounty paper towels—approximately 20 rolls or so, fortified with resin and glue. Continue reading.